Sword Art Online: Lost Song is an action role-playing video game for the PlayStation 3, PlayStation Vita and PlayStation 4 based on the Sword Art Online light novel series. It is the third video game in the series and is the successor to the 2014 game Sword Art Online: Hollow Fragment. The game was released worldwide during 2015; it was first released in Japan on March 26, and was later released in the PAL region and North America on November 13 and 17, respectively. Lost Song’s story is based on an alternate timeline of Sword Art Online that does not follow the canon storyline of the light novels. 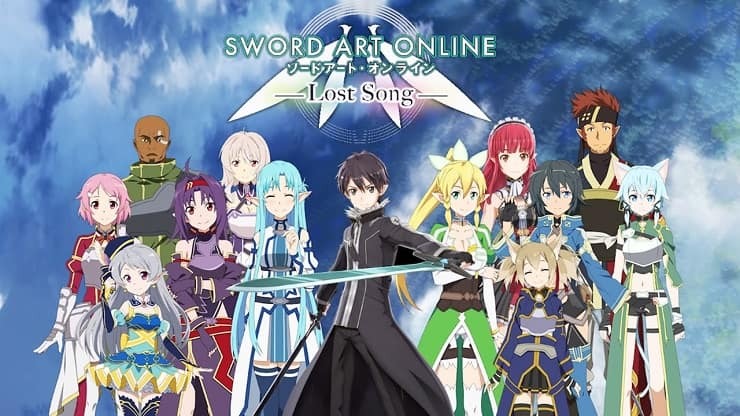 It follows series protagonist Kirito and his friends as they play the Virtual Reality Massively Multiplayer Online Role-Playing Game (VRMMORPG) called ALfheim Online (ALO). The game introduces a guild named Shamrock, led by scientist and idol Seven, who Kirito competes against to be the first to clear ALO’s expansion, Svart ALfheim. Lost Song received mostly mixed reviews, with the multiplayer and controls being praised; however, the game’s dungeons were criticized for being bland and recycled. Wikipedia®. Enter the VRMMO world of the much-loved anime SWORD ART ONLINE! In Alfheim Online, a world of fairies and magic, you become the hero of the series, Kirito, and together with your wondrous friends try to conquer the floating land of Svart Alfheim. Soar freely through its skies and take down all powerful enemies who dare appear before you! Experience fast-paced battles in the air and on the ground, and seamless action sequences in a game that makes you feel freer than ever before! Choose your skills and how you want to evolve; it’s all up to you! And remember: the more you grow, the more epic the battles! Seven, Rain, and Sumeragi from “Lost Song” join the anime regulars in a brand new story! Trainer for the game Sword Art Online: Lost Song, you can use it to activate these essential Cheat Codes: Infinite HP, Infinite MP, Infinite Stamina, Super Speed, Max Union Gauge, Infinite Money, Infinite Exp., One Hit Kill. Note: This cheat tool is for the original version v1.0 of the game Sword Art Online: Lost Song.